Welcome. Καλωσόρισμα. 欢迎. Bienvenido. 환영. hoan nghênh. 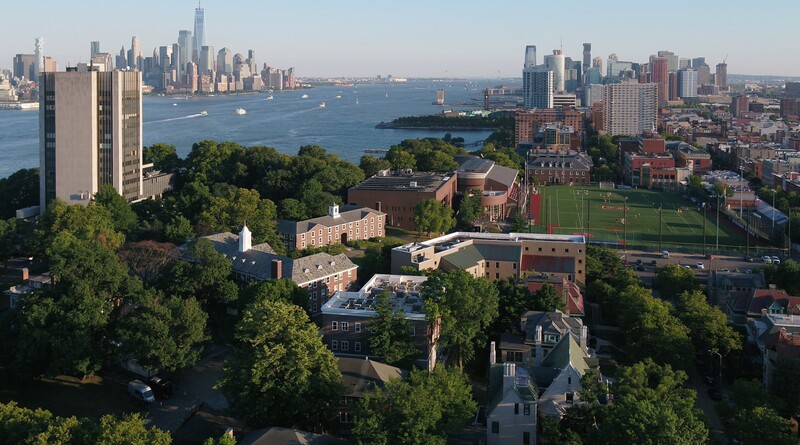 Interested in spending the summer studying in the United States on a college campus overlooking the New York City skyline? Then come to a Pre-College Program at Stevens! Offering programs in Engineering, Science, Technology, Society & the Arts and Business, all of our programs are carefully designed by our faculty to be creative, project-driven, hands-on immersions that give you not just real college experience, but real world experience too. By night you’ll live in the dorms with other international and American students, by day you’ll visit major corporations, work on a tangible project and learn alongside experts. Many of our international students choose to participate in more than one program during the summer, to make the most of their time here in the United States. We offer 1-week and 2-week programs over the course of 6 weeks each summer – pair as many programs as you like as long as the program dates don’t overlap! If you need assistance building out your stay at Stevens, please contact [email protected]. Upload your official high school transcript as well as a current progress report. Upload a letter of recommendation from a teacher. If applying to the ECOES program, the letter of recommendation must come from a science or math teacher. Stevens Institute of Technology does not issue Form I-20 for the purpose of attaining F-1 visa status to summer program participants. Students wishing to participate in the summer program may either attain a B-2 tourist visa to participate in a short course of study which is recreational, and less than 18 hours per week, or be a citizen or national of a country that participates in the Visa Waiver Program (VWP). Please note that under the Visa Waiver Program, you must first have a valid Electronic System for Travel Authorization (ESTA) approval before you travel. Citizens of Canada and Bermuda generally do not need tourist visas to enter the U.S. To help facilitate the B-2 visa application process, you may contact the Office of Pre-College Programs at [email protected] to request a program information letter to accompany your application for a B-2 visa. Students are responsible for covering their own flight costs. However, for students traveling by air to Newark Liberty International Airport, someone from Stevens Institute will be waiting at the airport to greet you and provide transportation to Stevens at no additional cost to you!